1. 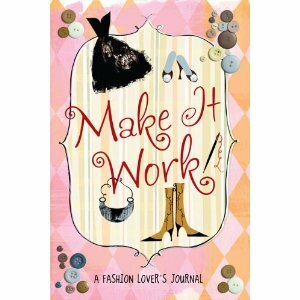 Make it Work – a Fashion Lover’s Journal! I received this fabulous journal from my friend Colleen. “This is Your book and it’s time to make fashion work your way. Express yourself; Document Idea’s and Be inspired”. It’s chock full of fashion quotes, room for fashion journaling, and motivation for design…Also will prove inspirational for future blogs. 2. 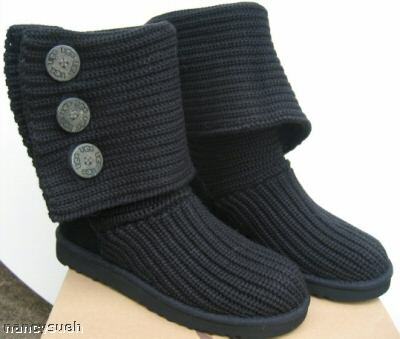 My Black Knit Uggs! I wear them round the clock, in and out of the house, as boots and slippers. 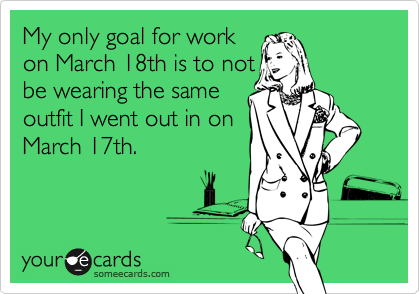 My uniform for winter, when I’m just hanging low is black knit Uggs, jeans rolled up, and black turtleneck…And as much as I’m looking forward to spring, I’m going to be sad to put away my Uggs! You can find these Uggs anywhere, but I got them at nordstrom.com (and did it via the ebates portal, and received 5% cash back). 4. 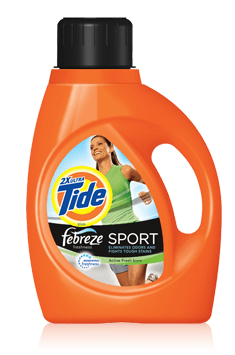 Tide with Spring Fresh Febreeze – ok, I really mean this, my clothes smell Fabulous! My sheets and towels smell fantastic and stay that way. Not sure if it’s because we are on well water, but there isn’t always the freshest smelling water in South Barrington, especially when clothes come out of the washer. My laundry room is on the 2nd floor, right off the master bedroom, and the fresh smell permeates into my bedroom, and I love it! Try it…it’s great. 5. 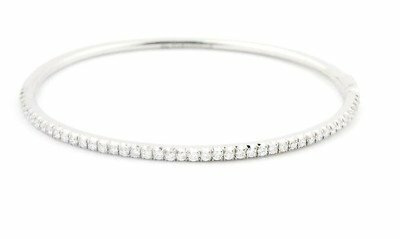 My Christmas gift from Kevin and the kids…Tiffany diamond bangle bracelet. Light, delegate, and I don’t think Kevin broke the bank with it. And I receive compliments all the time. Truly I can wear it daily, and I do. I absolutely love it! 8. 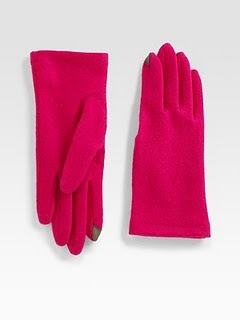 Echo Touchscreen Gloves – I can wear gloves and still type on my iPhone. Of course, I still make typing mistakes, but I do that without gloves. And thanks Donna for this great gift! 9. 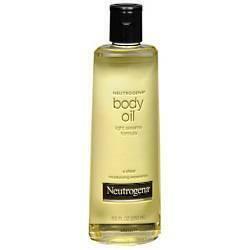 Neutrogena Body Oil – Sesame formula. I started using this when I was in the hospital after Meredith was born. It must have come in a sample bag. You can buy it at any drug store, it’s affordable, and is the Only lotion that solves my dry body skin problem in the winter. I cannot even tell you how dry my legs are in the winter…but without this lotion, they truly bleed…(I know horribly visual, but I needed to make my point). Not sure if it’s my irish skin, but I really suffer from dry skin, especially on legs and arms, and this never fails me! 10. Kate Spade plates and serving platter…received these from my friend Nancy. I love them so much, that I don’t just use them for serving guests (as they truly are perfect for when the girls come over)…I use the platter to hold my jewelry on my dresser, and use a plate by the sink to hold my rings when I wash my hands. That way I always use them. And these plates make me happy! And, since we are on the subject of favs, some of my all time favorite bluntcards! Didn’t realize we have Brussel sprouts and Neutrogena Sesame in common. 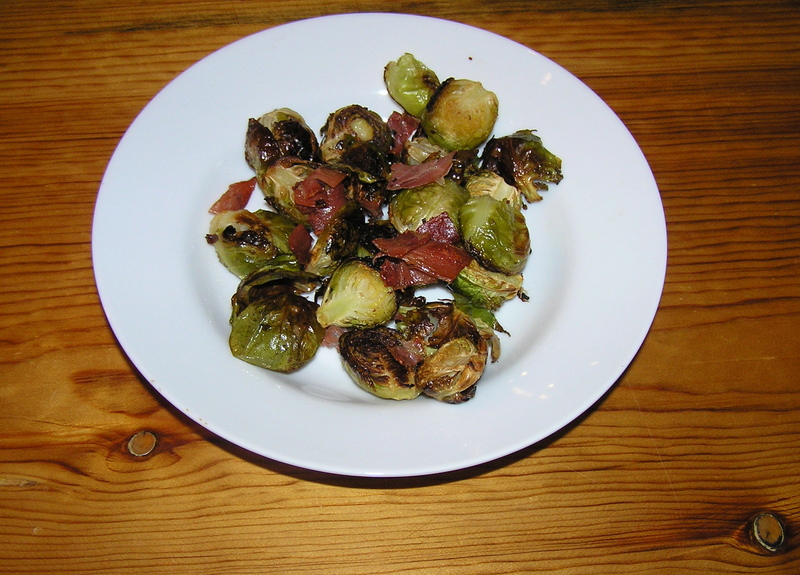 Been eating sprouts for using Sesame for years . . . who knew! Fun stuff today . 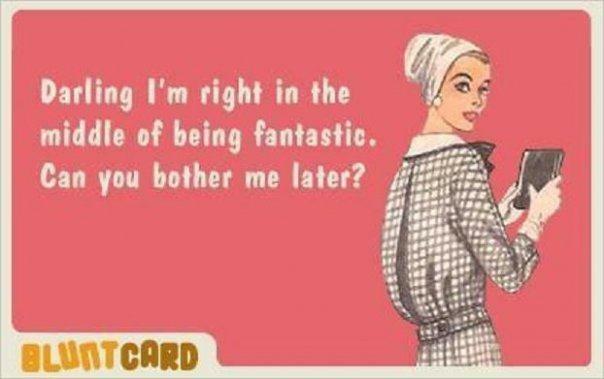 . . Oh, and keep the Blunt Cards coming — snarky and quick! 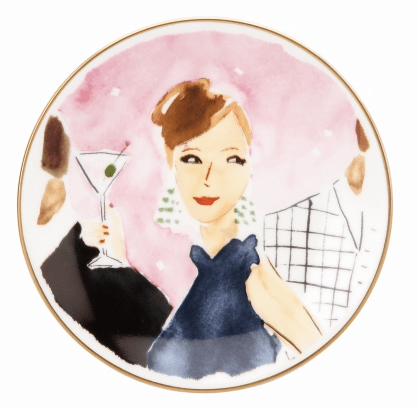 I am so honored and thrilled that you like the Kate Spade plates!! 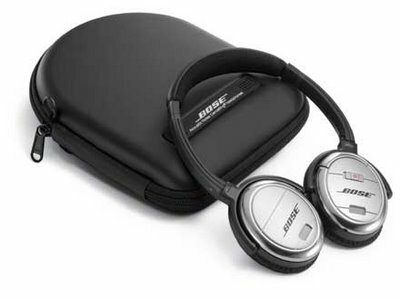 Now I am really jealous….. should have bought some for myself! LOL.